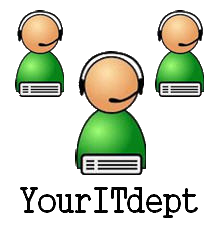 Let us become your IT Dept! We want to take away the frustrations of your daily IT problems so you can focus on growing your business. We can keep and eye on what is happening with network monitoring of all your computer equipment. We can provide remedial support as a lot of problems become apparent. And . . . if you need additional support, we are just a phone call away.